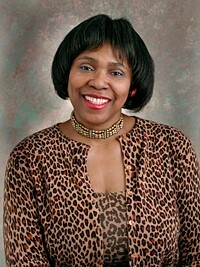 Amaki is an artist, critic, writer, poet, art historian and former professor of art history currently based in Atlanta. She has had 47 solo exhibitions, and participated in more than 100 group shows in 39 states, as well as Italy, France, England, Ghana, China, Mexico, Argentina and Brazil. Her photography, photo-based and new media-based artwork combines fabricated and found components to address implications of popular media, cultural assumption and commercialism. One of her signature books, “Amalia Amaki: Boxes, Buttons, and the Blues” brings together her photographs, quilts, souvenir fans and mixed-media works. It incorporates fabric, beads, pearls, buttons, paint, glitter and photographs with cultural symbols and visual puns, challenging and reconfiguring American history in original and meaningful ways. The gallery is located in the Palm Beach Gardens campus’ BB building, Room 113 and hours are 9 a.m. to 5 p.m. Monday, Wednesday, Thursday and Friday and 9 a.m. to 8 p.m. Tuesday. For more information, call Art Gallery Specialist Karla Walter at 561-207-5015 or email walterk@palmbeachstate.edu.